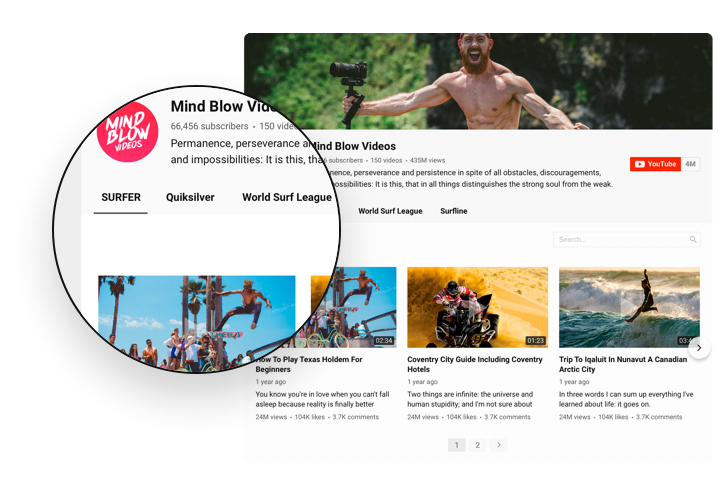 YouTube Gallery is a powerful widget, which enables you to publish a variety of videos on the website. 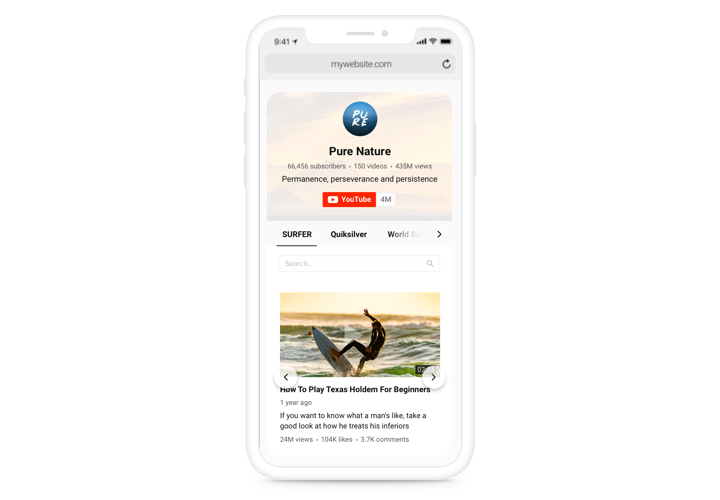 Choose the required channels and video clips to assemble your personal playlist and display it right on the web page using the most suitable layout (video gallery, portfolio, channel, single video). 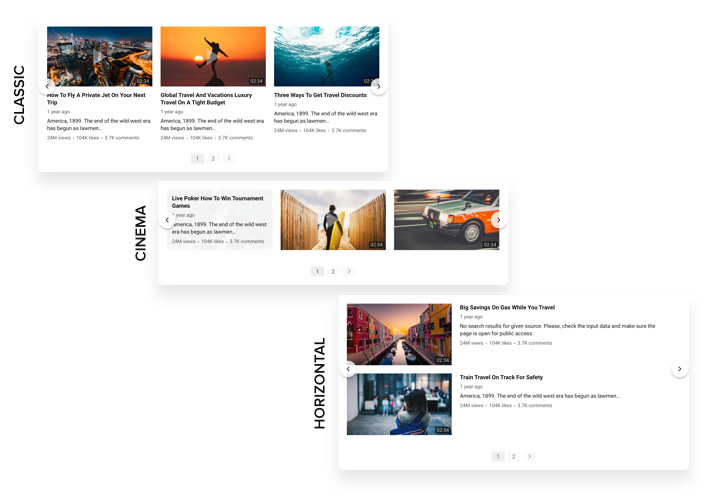 Our widget is compatible with all formats and systems; it has more than 100 parameters, flexible layout and other traits, which enable you to display it on any websites.Design an efficient video gallery to keep viewers always interested. 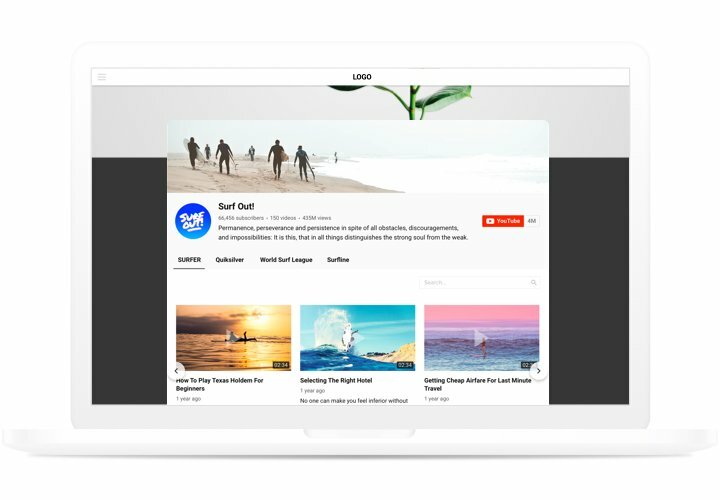 Keep strong connections with users of your website through YouTube videos. Amaze your website visitors with fascinating video content from YouTube and keep them involved longer. Increase sales convincing to buy with the help of YouTube content. Show promotional videos, reviews, guides, tutorials and more to create a positive brand image and stimulate sales. More fans for your YouTube profile. 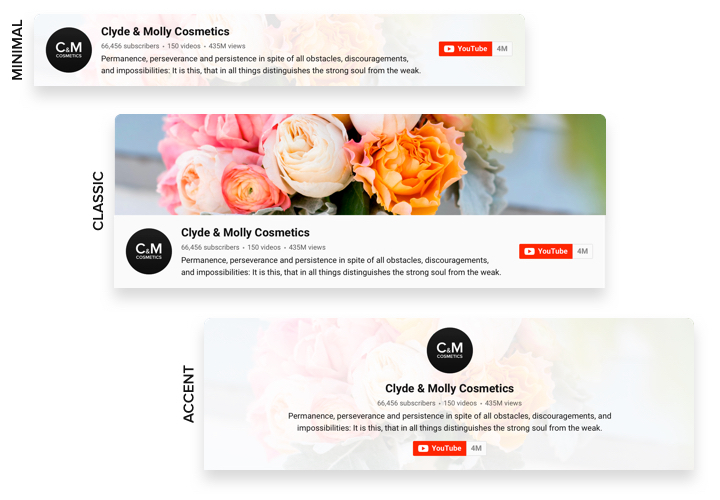 Transform website visitors into your followers on YouTube. Show users a quick and uncomplicated way to subscribe right on the site and increase subscribers. See one of the most advantageous features of Elfsight app, which turn it into the best instrument to embed YouTube videos on a Wix page. A concise guide by Elfsight on integration of the app and changing its interface. It involves no knowledge in development and only takes around 80 seconds. 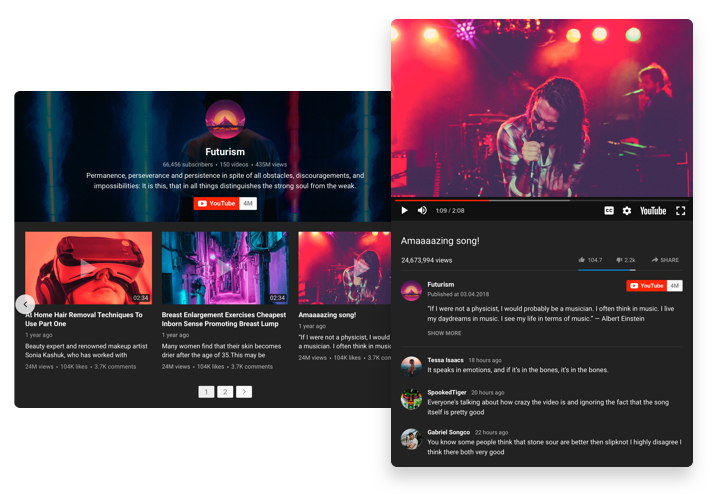 Construct your custom-made YouTube widget. By means of our free demo, generate a app with preferable design and options. Get a code for embedding the widget. After app configuring obtain a code for YouTube Video Gallery from the popup window on Elfsight Apps. Embed the widget on Wix site. Add the app to the desired place of the website and save the changes. You successfully performed the installation. Go to your website, to see your video app. Any troubles occurred during the setup or attempts to customize the app? You can check it in our tutorial «How to embed YouTube Video on Wix website» and try to fix it yourself. Or send a description of your problem to our customer support. We will do our best to help! (from 10 a.m. To 7 p.m. CET, Monday to Friday). Set up your Wix YouTube Video app in only 3 minutes!